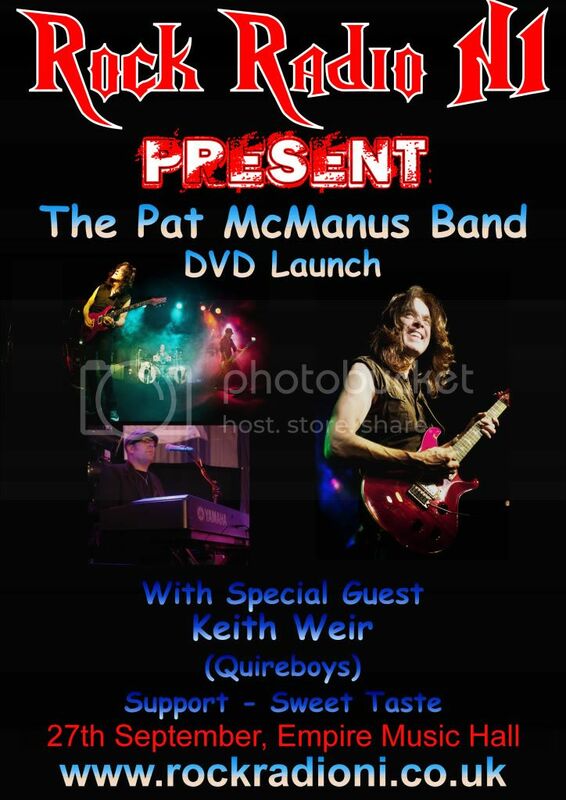 The Pat McManus Band's Belfast DVD Launch . The legendry guitarist Pat McManus (Mamas Boys) and his band will be launcing their new DVD on the 27th September. Keith Weir from the Quireboys will be guesting on keys and there may be other of Pat's friends joining in on the night . Tickets available from Ticket Master £8 (£10 on the door) or Warrens Newsagents.